Hello everyone! 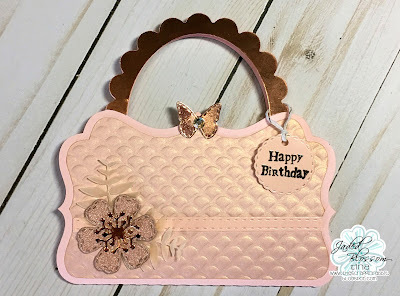 This is Tina from The Scrappin Rabbit Blog and I have a gift card holder project to share with you! 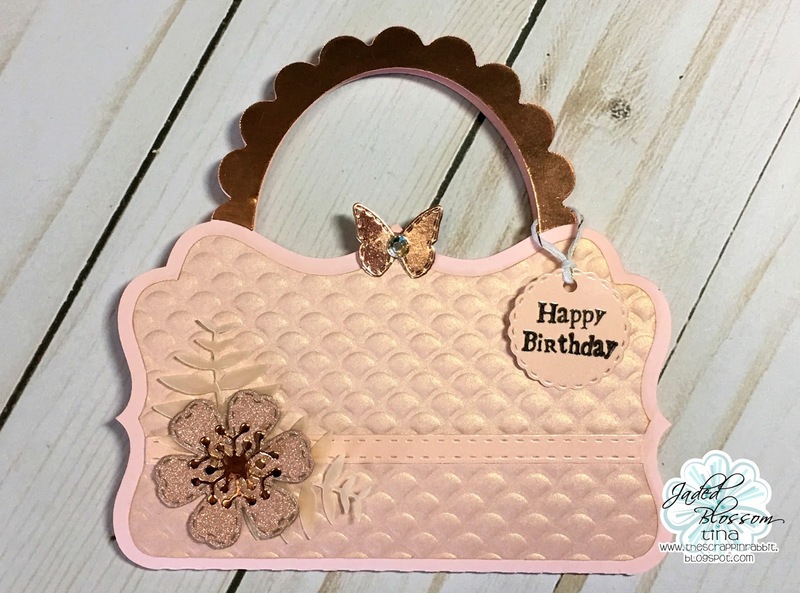 I made and decorated this rose gold purse shaped gift card holder. 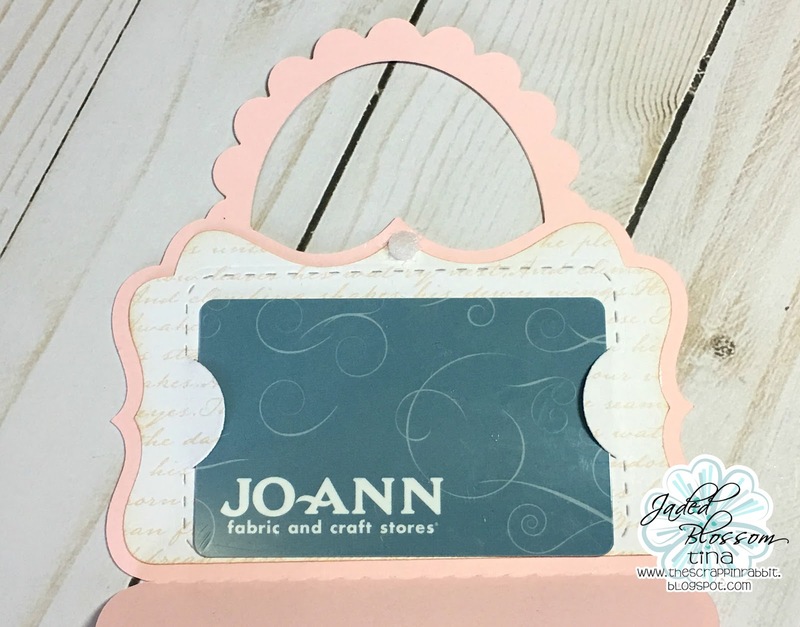 The gift card holder is from Lori Whitlock. I used DCWV paper. The JB Gift Card Die worked perfectly to attach the gift card inside. The butterfly I used for the clasp is from the Spring Dies 2. I embellished with several JB die sets and the sentiment is from the Many Happy Birthdays stamps. 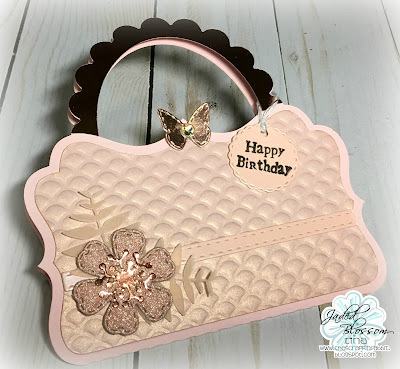 I used the Flower Dies and Tropical Flower Dies to make the pretty flower and vellum leaves embellishment.